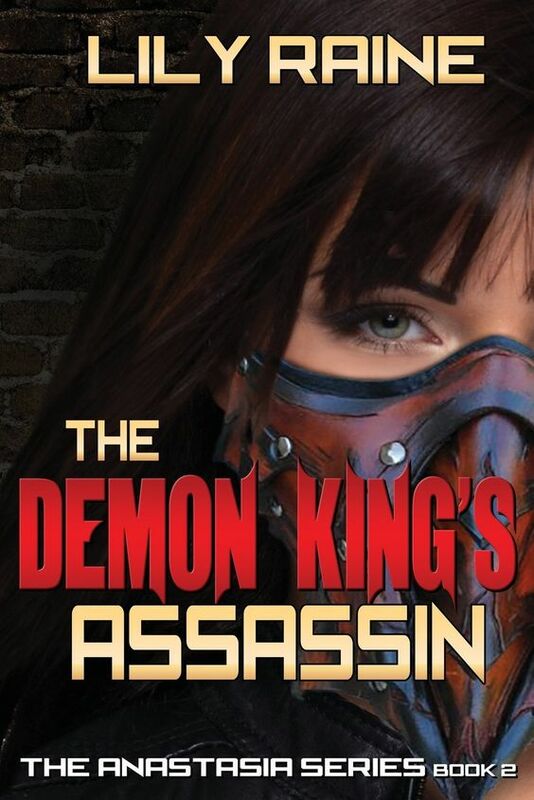 Paranormal YA with an Intricate Plot Full of Surprises! I'm ready for more...much more. 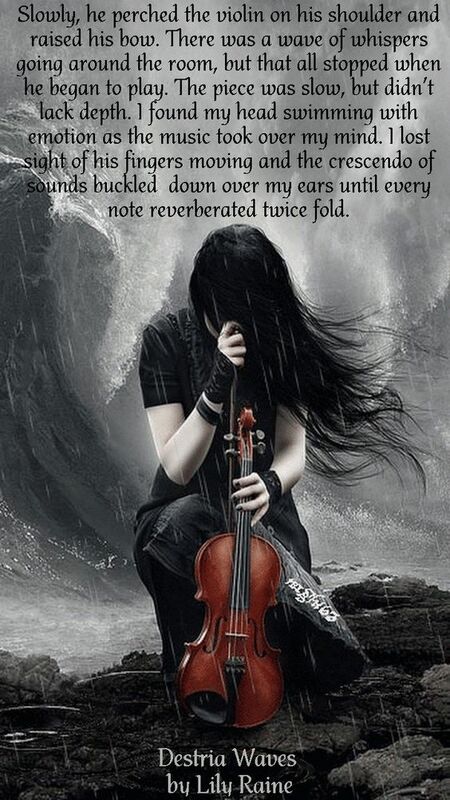 Slowly, he perched the violin on his shoulder and raised his bow. There was a wave of whispers going around the room, but that all stopped when he began to play. The piece was slow, but didn’t lack depth. I found my head swimming with emotion as the music took over my mind. I lost sight of his fingers moving and the crescendo of sounds buckled down over my ears until every note reverberated twice fold. Then I smelled the flowers. Why now? Mason was still on stage, his arm perfectly bent, his dark Japanese hair framed around his face. But the pale haired woman with the beautiful wings stood beside him, her lithe fingers inches from his strands of hair. Holding my breath, I tried to move forward to push her away from him, but she only chuckled. Then there was applause so loud my ears were deaf to everything else. I closed my eyes and when I looked up, she was gone. Finding my feeling in my hands, I clapped until my skin felt raw. There were many more auditions before mine. Dance solos that were both lively and solemn, violin, flute, and piano pieces. And drama monologues of all kinds. After four hours, it was my turn, and with weary legs from sitting for so long, I trudged up the stairs. It was courteous to stay after you’d auditioned, so there were still a lot of students remaining in the hot auditorium. I could only hope they would turn the air on for the actual concert. Behind the stage was a darkened narrow space with stairs leading down to where I assumed the dressing rooms were. The layout seemed common enough for a large stage. In a daze, I brushed against a guy standing near the curtain. I muttered an apology, but I could feel his eyes on me as I made my way to the end of the line. My hand was warm where I’d grazed his arm, but when I tried to look at him, I saw he was already on stage. He was tall, so I could see he had light brown hair tinged with golden streaks. He kept his back to me as he crossed over to the piano and clumsily sat down. He looked more nervous than Nora had. I’d always thought Mason was the best teenage musician I’d ever heard. But the sounds that came from the brunette’s fingers drove me into a whole new state of appreciation. If they did a duet, they would be able to bring people to tears. My mind pounded viciously within the confines of my skull. I reached for the cup of cold tea beside my bed and felt stability when my fingers clasped the bone white china handle. The same dream that had been haunting me for weeks had once again made an appearance. Unlike the other times, I recognized the boy with the glasses. There was no denying the boy was Daniel as he pleaded for me to save him with his emerald green eyes. Shivering, I could still feel the cold within my bones from diving into the icy depths to save Daniel. When I’d had visions of the woman in white, I had literally been rendered immobile no matter where I was or what I was doing. But with these dreams, the moment I regained consciousness, they were gone. I was afraid. 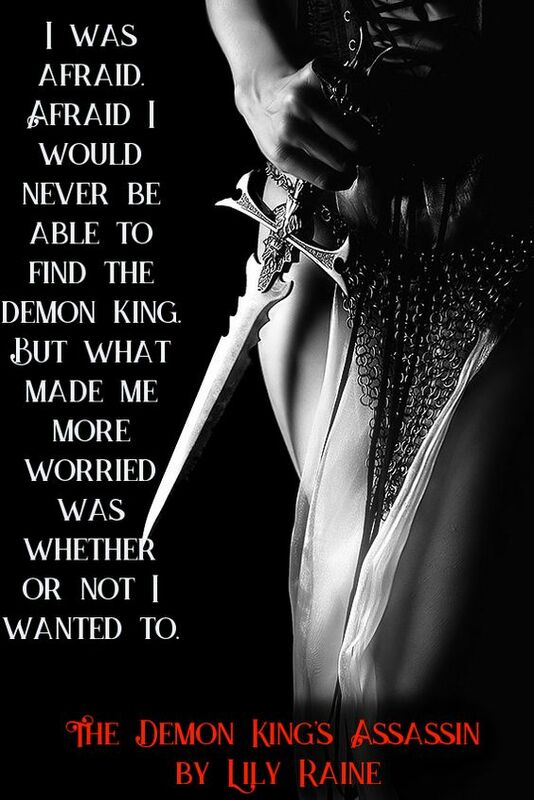 Afraid I would never be able to find the demon king. But what made me more worried was whether or not I wanted to. All I wanted was to find the person who had killed my family. Setting the cup down, I plucked my music box from my nightstand and turned the knob. The twinkling music flooded my room, eradicating the looming silence. Slipping from between my sheets, I padded over to the window. Thick blankets of snow clung to the earth and the sun was just starting to rise. A low guttural noise made my breath catch in my throat. Standing in the break in the trees was a large black bear streaked with brown. For as long as the Sokolovs had been living in Bay Shore, there had never been a bear sighting. Without thinking, I pulled on my boots and grabbed a coat before racing down the stairs and bursting through the front door. The bear was gone, but I saw the unmistakable shape of paws darting into the woods and quickly followed them. There were so many things I had to say to my friend. It had been my fault for turning him into a human, and then I’d selfishly asked him to die with me because I’d been scared. I held onto the vain hope he was alive, and if I could just catch up…. Gasping and out of breath, I stopped as the tracks abruptly ended. A bare bush devoid of leaves beside a tree had been uprooted. I felt something inside me shatter and prepared to turn back to the warmth of the Sokolov mansion when a tiny thread of glittering metal stopped me. As I peeled away the broken branches of the bush, I uncovered a knife with a gleaming blade. 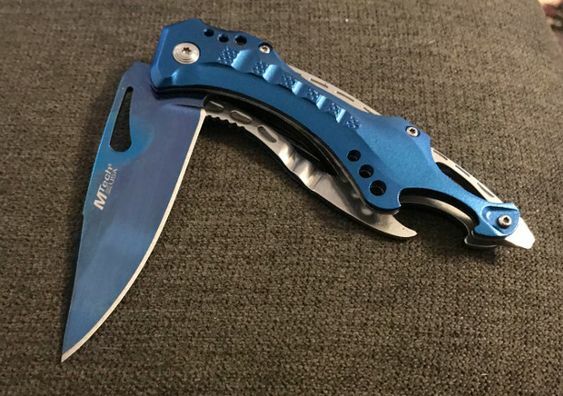 The handle was rather ordinary, but it was the five-inch blade that captivated me. It looked like it was made of a bluish metal I’d never seen before, like a hybrid of sapphire and diamond. I pressed the small button and the blade retracted. I felt foolish and wanted to chuck the knife, but something in me stopped. Upon closer inspection, I saw the handle was carved with an intricate wood pattern of a bear. Even if Jolan had only been a figment of my dreams, the knife wasn’t. This sounds great and my favorite cover is Destria Waves! The cover is beautiful and so scenic to look at. 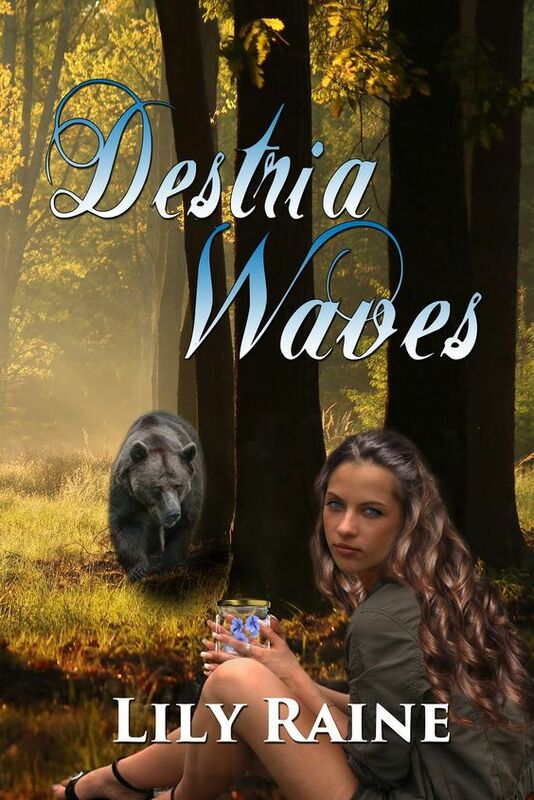 I love the cover of Destria Waves! 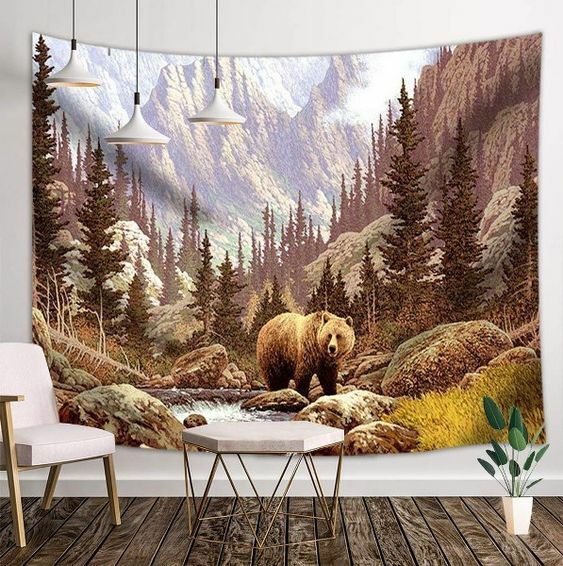 That is stunning!